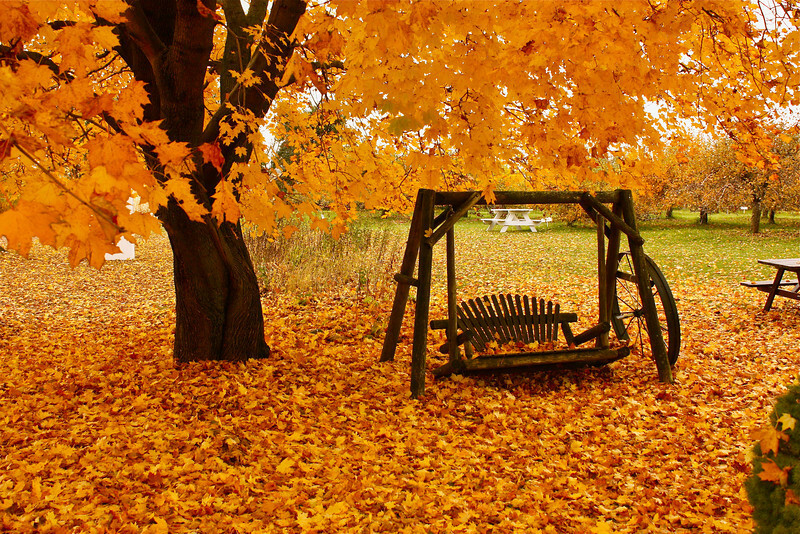 love this autumn shot, I think you should crop out the picnic table on the right, just my opinion. Love the colors! Well said and well captured! Fall is my favorite season, even with the raking. Great image.